Great content that draws visitors, and converts them in to customers. Relevant, Engaging and Search Engine Friendly Content That Converts. With smarter algorithms, Google can read your site as well as your customers can. Content needs to be engaging, relevant and informative. If your site is offering the information that customers are looking for, Google will send them your way. Industry terms? Commonly searched buzzwords? We analyze your market and industry in order to understand the keywords your customers are searching for, then we create relevant content that Google and other search engines will like, but that will engage your visitors and provide the information they are looking for. Every industry and market has an unique information gathering and decision-making buying process. We learn how customers in your industry find and buy the goods or services you provide, then tailor your content and conversion funneling to fit. Giving them the information they are searching for is only half the battle. If your content doesn’t draw in the reader, and effectively focus on providing them with the solution they are looking for, you’ve lost them. We tell your brand’s unique story in a way that earns the trust of your visitors and converts them in to customers. Customers in different markets find products and services in different ways. It’s not always as simple as creating a relevant PPC ad. Maybe your customers are on Facebook or LinkedIn and not directly shopping for what you provide. We’ll take the time to find out where your online leads are coming from, and then place content where they’ll find it. The right keywords combined with engaging verbiage is a great start, but it’s only half the job. An engaging site makes great use of relevant images, fonts and colors, and sometimes tasteful animations. Forms and interfaces are designed to be intuitive and easy to use. Our team will build a site that your visitors will love. Now that your site is in place, with the right content for both Google and your customers, it’s time to spread the word. 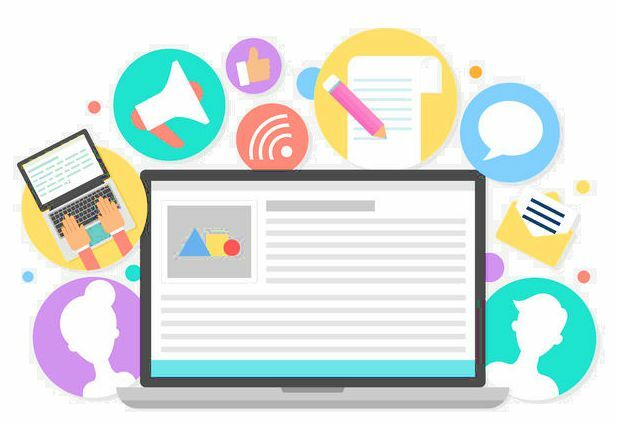 We create strategies for placing content on the web where your customers will see it, hook them with relevant tag lines and offers, then continue that story when they visit your site. As always, results that can’t be measured and quantified are of no use in an ongoing success strategy. We use metrics such as time on page and bounce rate to determine if your content is working, and if it isn’t, tweak it until it does.